With the expansion and growth in social media, Jordan Whelan and his team saw an opportunity in the marketplace after struggling to build their own e-commerce store for a previous company Our Paper Life. Although their website was setup, there was a problem driving traffic and sales without the digital acumen. Their team realized this problem and saw an opportunity that many other businesses were facing. After examining the market and realizing that 54% of sales are driven by word-of-mouth, they decided to construct their own e-commerce platform centred around word-of-mouth and social sharing. This would allow small businesses to compete with larger firms without large advertising budgets. One such example is Spanx, the billion dollar brand that never invested in advertising but instead capitalized on chatter among social groups. This was the birth of Framestr – a social commerce platform that allows users to share products with friends in three ways: email, social media or embedding them on any site, and in return – earn a cash reward if a sale is made from their unique link. Vendors on the site set the cash commission (often between 5-15%). Users can then withdraw the commission to a PayPal account or transfer it to a friend. As a platform Framestr offers many benefits for vendors. In addition to it being an affiliate marketing vehicle for the creation of brand ambassadors, it is also free of seller fees which can cripple a new business. The most value that Framestr brings is the limitless promotional potential. 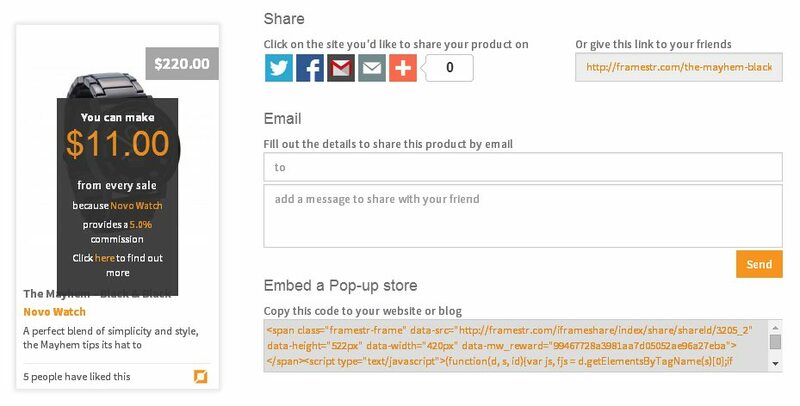 Since one of the sharing options is to embed a mini-store of the product on any site worldwide, a vendor’s product could spread exponentially. John MacDonald and James Sbrolla, Entrepreneurs-in-Residence, have helped Framestr by taking them under their wing and providing strong, expedited insight with regards to hiring, and financial hurdles. In addition, RIC Centre programs such as the 360 Advisory Board allowed them to connect with experts in their niche field as well as explore public funding opportunities. 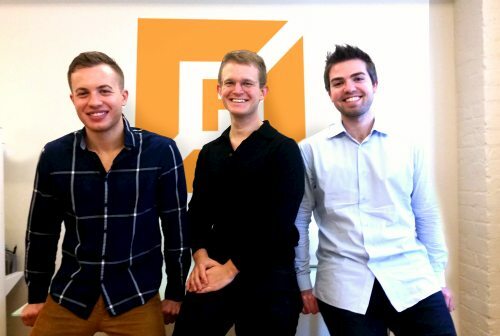 In their first four months in operation, Framestr added close to 300 companies in 30 countries, received national press coverage, expanded their team to 5 members and the CEO, Jordan Whelan, was recently highlight in the Toronto Star as “Top 10 Torontonians to watch in 2015”. They are also in the process of exploring some funding initiatives for Q1 2015. For 2015, Framestr finalized their Shopify and Etsy API importers, allowing any user who has a store on these platforms the opportunity to try out Framestr with ease. They are also planning to bring on 2000 more vendors as well as complete the monetization platform among growing their blog network.